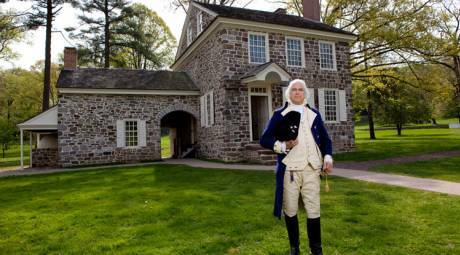 While there are many building in Valley Forge National Historical Park that are original to the time of the encampment, none holds more historical significance than Washington's Headquarters. For most of the six-month encampment, Washington made his home in this stone building, meeting with advisors as they made plans, not only for the encampment, but the continuation of the war. 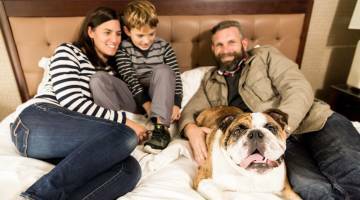 The house could be considered the "Pentagon" of its time, as it was the place where Washington and his highest-ranking officers lived and worked. 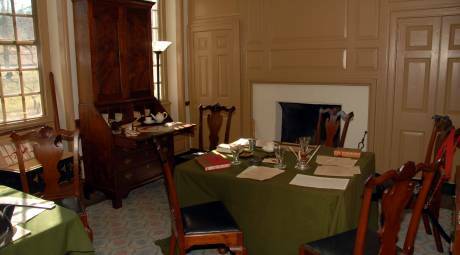 Washington's office, as well as an aide's office, have been recreated to look much as they did during the encampment. George Washington was never alone during the encampment, and for several months he had an extra special guest as Martha Washington joined him for a time. George and Martha were two of up to 25 people who would have been living inside the house. Archaeological and documental evidence suggests a log annex was constructed next to the house to accommodate all of the necessary personnel. A more modern building can be found next to Washington's Headquarters. The Valley Forge Train Station was erected in 1913 to serve passengers along the Reading Railroad. For several decades, the station was a frequent stop of tourist excursions to the park. 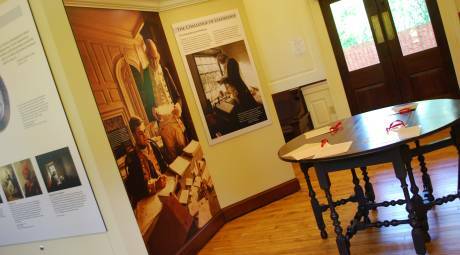 Today, the century-old station has been restored and houses a collection of exhibits that look at Washington's leadership and is also the meeting place for ranger-led tours of the headquarters building. 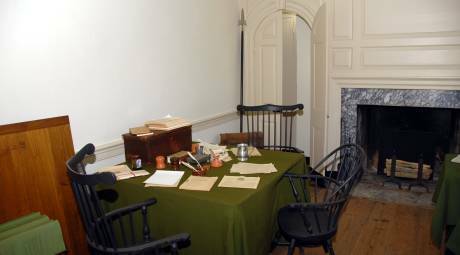 Washington's Headquarters and the train station are open daily from 9 a.m. until 5 p.m., Early Spring through December (the headquarters has extended hours in summer). Between January and Spring, the headquarters is open weekends from 9 a.m. until 5 p.m. Hours are subject to change.